Our furry friend can easily be our best companion. Taking care of your pet can be an overwhelming task. Pets, mostly dogs and cats are commonly infected by worms of different types. Most of these worms or parasites can easily disrupt the normal lifestyle of your furry friend can make it worse with time. Furthermore, on some occasions, pets can also pass these parasites to their human. 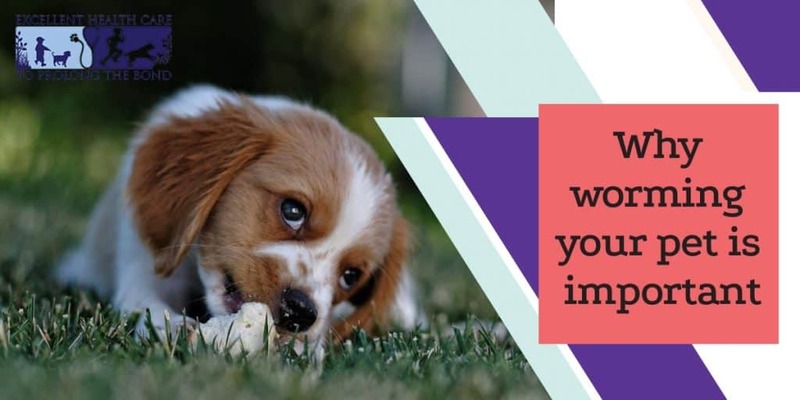 Intestinal worms or parasitic infection can easily wear down your pet in addition to hindering proper nutritional absorption from the food ingested. Such scenarios usually lead to health concerns like anemia and lethargy. Intestinal worm infection can turn out to be deadly for kittens and puppies, as they require all the available nutrients. There are several risks involved when your pet is not wormed on as required. Let us look into some of the aspects that make worming your pet an important task. As mentioned earlier, one of the major risks of not worming your pet is the threat to its life itself. Parasites or other worm types can easily deteriorate the health of your pet. This, with time can pave way to other health concerns. Furthermore, the worms can also turn out to be dangerous with respect to the geographic location or climate. For instance, parasite called hydatid tapeworm are usually found associated with sheep. Dogs that are used to take care of the sheep or dogs in the farming areas with access to sheep are vulnerable to this tapeworm. The real threat is that dogs, while engaging with humans can easily transfer this tapeworm to humans. The transfer usually happens via licking and consuming food after engaging with the dog and without washing hand properly. Other worm types like hookworms and roundworms can also pose a threat to humans, especially children. Among all the parasites that infect dogs, heartworm is worth mentioning. The fact that heartworm can also be transmitted via mosquitoes makes them really dangerous. This means that even if your dog does not go out much, he is still vulnerable to heartworms. Therefore, including a heartworm test during the routine wellness check for your dog is important. The fact that heartworm infected dog does not show any symptoms or signs of distress makes it more dangerous. Under this scenario, early detection is the key to ensuring that your dog’s normal lifestyle is not under threat. You can also opt for monthly heartworm preventative treatments to ensure that the parasite infection is kept in check year-round. Medications like Milbemycin and Selemection can be used to contain parasitic infections from heartworm, hook worms and roundworms. You can also opt for monthly heartworm preventative treatments to ensure that the parasite infection is kept in check year-round. Medications like Milbemycin and Selemection can be used to contain parasitic infections from heartworm, hook worms and roundworms. Worming your pet on a regular basis is one of the smartest means that your pet stays healthy. Foreseeing the vulnerabilities and acting accordingly can help you save some money in the long run. If you are not sure whether your dog has had any protections or drugs against the parasites, a good source to start is by consulting with your local veterinarian. The parasitic treatment can vary with respect to the breed and age of the dog. This makes a visit to a veterinarian even more important.